Richard Riakporhe, Tommy McCarthy, Anthony Sims Jr and Leigh Wood on packed undercard. Jordan Gill will top the bill in Peterborough on the next JD NXTGEN card, on March 2, live on Sky Sports. Gill will be taking on Mexico's Emmanuel Dominguez for the WBA International Featherweight title at the East of England Arena, in Peterborough. Gill said: "I'm buzzing to have the chance to bring a big event to the area and put on a show for the fans. I hope it's a huge success and will be the first of many shows in the city. With the venue being so close to my hometown, I'm confident it will be a complete sell-out. "I haven't seen much of Dominguez, but Mexicans are renowned for their toughness and I can't see him being any different. "These are exactly the sort of fights I want to be involved in this year. It's all about pushing on to the world stage now and this is the next step in that direction." The cracking undercard will showcase some of British boxing's big prospects, with unbeaten Richard Riakporhe one of them. Fresh from his comeback win over Sam Hyde in November, Dillian Whyte's cruiserweight charge defends his WBA Continental title against Belfast's Tommy McCarthy next month. Unbeaten American sensation Anthony Sims Jr is heading back to the UK as part of the packed bill, seven months since fighting in the JD JXTGEN, in Cardiff. Nottingham's Leigh Wood also clashes with Ghana's Abraham Osei Bonsu for the vacant Commonwealth featherweight crown. 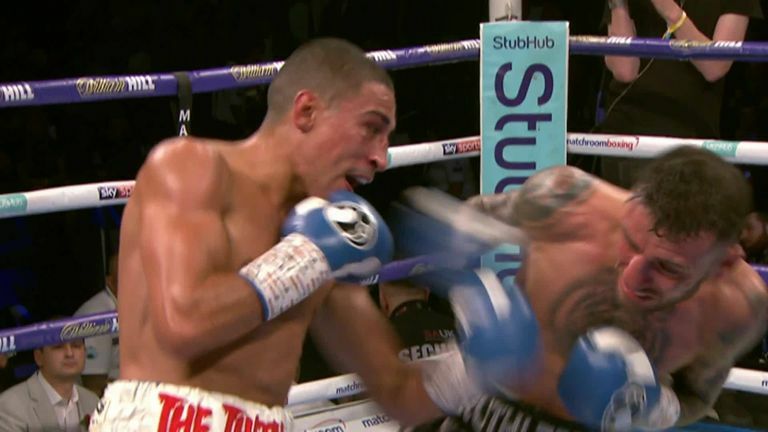 John Docherty targets his fourth knockout in four fights, while Leeds super-bantamweight and former Team GB star Qais Ashfaq, Wisbech's Joe Steed and St Ives' super-lightweight Bradley Smith are all in action. Eddie Hearn said: "It's great to bring championship boxing to a completely new area on March 2. We have already seen from Jordan's ticket requests how popular this will be and it's a great night of boxing. "Jordan is another one of those young stars ready to step up to the next level, some have managed to do it and some haven't - now it's his turn. "Anthony Sims Jr has become a real fan favourite in the UK and is set for a huge 2019. Richard Riakporhe against Tommy McCarthy is a great 50-50 cruiserweight match up, and exciting Nottingham star Leigh Wood challenges for his first major title. "Beneath the championship fights the card is stacked with young talent and we look forward to a great crowd in Peterborough on March 2."